Ready for another sneak peek using Swirly Bird? It's another baby card! 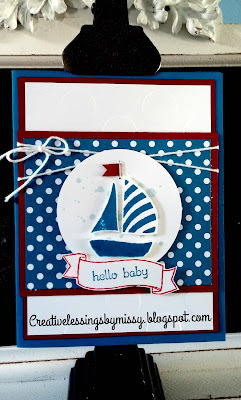 Love the primary colors for a little boy card! Stop back tomorrow for a sneak peek with another stamp set!